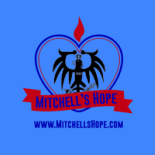 Mitchell's Hope is ALSO looking for a few dedicated and passionate people to become part of our committee. Since we are in our infantile state, we need to build a solid foundation on which to stand. We have some exciting news and exciting events and meetings coming up in the near future! To be a committee member, one must be committed. THINK ABOUT IT....IF YOU HAVE THE DESIRE TO MAKE A DIFFERENCE AND CAN COMMIT, WE CAN HOPEFULLY MAKE A DIFFERENCE. PLEASE CONTACT US IF INTERESTED. IF INTERESTED IN BEING A VOLUNTEER, WE HAVE A VOLUNTEER PAGE, PLEASE VISIT THAT PAGE AND SIGN UP.